PT Amman Mineral Nusa Tenggara - PTAMNT or widely known as Amman Mineral is a reputable foreign investment (PMA) company in Indonesia that is involved in mining industry. The Company concentrates its business activities in the coper and gold mining industry. PTAMNT operates a 87,000ha copper and gold Batu Hijau mine in Sumbawa Barat, Nusa Tenggara Barat Province (NTB). Batu Hijau mine is recognized as the second largest copper and gold mine in Indonesia. PT Amman Mineral Nusa Tenggara previously known as PT Newmont Nusa Tenggara. According to PTAMN's company profile as cited by JobsCDC.com, the majority of PTAMN's shares are owned by MedcoEnergi Group through PT Amman Mineral Internasional (82.2%), and the remaining is held by Pukuafu Indah (17.8%). In November 2016, MedcoEnergi Group effectively acquired 50% stake of in PT Amman Mineral Investama which has indirect control controls over 82.2% of PTAMNT. Minimum background in Bachelor of Science in Geology or Geological Engineering (Indonesia); a Master’s Degree is preferred and demonstrates the ability to complete large and complex projects. Possess competency certification in Middle Operational Supervisor of OHS and Mine Environment from MEMR. Able to make competent technical decision, implement programs and prioritize work on an assigned project with little or no guidance. Holds around 7 - 9 years of practical exploration experience with some porphyry style deposit exploration experience. Minimum background in Bachelor of Geology or Geological Engineering with additional training and/or computer experience or Bachelor of Computer Science with strong geological background. Minimum 3 years of experience in mineral resource estimation methodology. 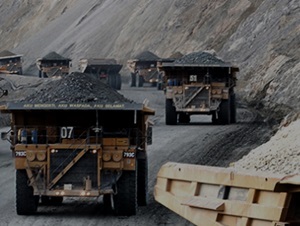 Holds around 1 - 5 years of practical experience in mining geology and/or exploration. Strong knowledge of data management, especially JORC standards. Able to make prudent technical decisions most of the time and prioritize work on the assigned project without high level supervision and guidance. JobsCDC.com now available on android device. Download now on Google Play here. Please be aware of recruitment fraud. The entire stage of this selection process is free of charge. PT Amman Mineral Nusa Tenggara - Senior Geologist, Geologist Resource MedcoEnergi Group May 2017 will never ask for fees or upfront payments for any purposes during the recruitment process such as transportation and accommodation.